The Protestant Reformation, which started in 1517, resulted in the persecution of Protestants throughout Europe. Some relief came with the Edict of Nantes, signed in 1598 by King Henry IV of France in order to give rights to French Protestants of the Reformed tradition. This was made law despite France being a majority Catholic nation. Even so, the persecution of Protestants continued and then increased after King Henry’s grandson, Louis XIV, revoked the Edict of Nantes in 1685. These French Protestants, called Huguenots, sought refuge in other countries throughout the 17th century, enriching the populations of England, Scotland, Wales, and Ireland with talented and skilled Frenchmen from all walks of life. The French Protestants who came from the area that is now Belgium were known as Walloons, who were also persecuted. Because of the emigration of Huguenots and Walloons into Britain, more than 28 French churches were established in the city of London alone between 1599 and 1753. 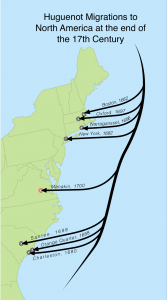 The Huguenot migration from England to Virginia and other colonies began after 1629, when an application to do so was first made to the English government. In 1700-1701, more than 500 Huguenot emigrants landed along the Potomac, Rappahannock, and James Rivers in Virginia, but there were numerous others who arrived in the colonies both before and after that influx. This excellent map found online in “The Migration to Manakin Town,” an article by Daniel Ludington, had neither copyright notice nor contact information, so if I am informed that a copyright has been violated, I will immediately remove it. However, it is extremely helpful to those doing genealogical research to be able to see the locations where their Huguenot ancestors may have landed. Philippe DuTrieux, born about 1586, was from Roubaix, an area in northeast France that is now present day Belgium. He was a French speaker who became a Protestant while Robaix was under Spanish rule. Persecution of Protestants was widespread and marked by repression and loss of life, so many in the Du Trieux extended family fled to England or the Netherlands, which had declared independence from Spain. Philippe settled in Amsterdam, employed as a dyer, and married Jacquemine Noiret in 1615. When Jacquemine died in 1620, Philippe was left with three small children: Marie, Philippe Jr., and Madeleine. Around this time, the Dutch West India Company tried to develop international commerce by capitalizing on the fur trade that had developed in the Hudson Valley. 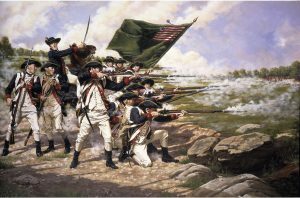 In 1623 the company got rights to land in the Delaware Valley near the Connecticut River so they could start settlements there. Philippe and his family were among 29 other families who entered into a contract with the company to emigrate to America. Meanwhile, he had married Susanna DuChesne; she was also a French Protestant and had been born in England after her parents sought refuge. 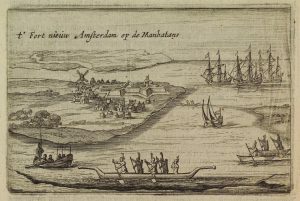 With Philippe’s two surviving children, Philippe and Susanna left the Netherlands in early April 1624 on the ship “Nieuw Nederland” (New Netherland), arriving at what is now New York City in mid-May. All of the immigrants came as free people and had freedom to worship as they pleased. They settled in what is now Manhattan instead of the Delaware valley as the company had intended. Philippe and Susanna eventually had at least four daughters and three sons. He was employed by the West India Company and served as the Court Messenger in 1638. In 1640, he got a patent for land in an area called Smits Valley. He already had a home on Beaver Street, but he sold it in 1643 so he could move to his farm in Smits Valley, near the fort (pictured) on the tip of southern Manhattan. 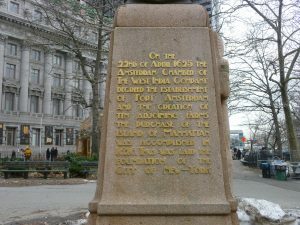 Today, in Battery Park, there is a monument honoring the settlers who came on the “Nieuw Nederland”. Philippe Du Trieux is in many records of early Manhattan, which was governed by the Dutch. He died about 1652, killed by Indians. A more detailed biography is available here. Even though Philippe did not live in Virginia, he has been verified as a Huguenot immigrant by the Huguenot Society of the Founders of Manakin of the Colony of Virginia. Though there is no documentary evidence, the tradition is that Antoine Desasurre de Croquetaine (1643-1735) converted to Protestantism in France and subsequently had to flee (according to tradition) to Kenmore Parish, Ireland, with his wife, Louise Dessaix. However, no one has been able to identify “Kenmore Parish”, and it’s quite possible that the Kenmare was the true destination. Kenmare is in County Kerry, not far from County Cork where the Watkins family lived. In Ireland, the family changed their name to Crockett. One son, Robert Watkins Crockett, married his cousin, Rachel Watkins, and they had several children who went to the American colonies in the 1700s. Among those who emigrated was their daughter, Hannah Watkins Crockett, who had married Reuben Steele of Argylshire, Scotland. My ancestor Robert Steele, born about 1750 in Montgomery County, Virginia, was one of their seven children. Robert Steele would later marry Mary Keeling, serve in the Virginia militia during the American Revolution, and build a home for his many children in Wythe County. The Crockett lineage has been accepted by the Huguenot Society of the Founders of Manakin in the Colony of Virginia. The progenitor of the Shumates in West Virginia was Jean de la Chaumette, born to attorney Daniel de la Chaumette and Marie Au Courturier, about 1664, in Rochechouart, Poitiers, France. His family was among those being watched by the government because they were Protestant. After the Edict of Nantes was revoked on October 20, 1684, Jean fled France with his two brothers, Josue and Antione, and Clovis Palazy, the pastor of the Reformed Church at Rochechouart. They found refuge in England, but no records have been located to indicate what his life was like between 1684 and 1687. Some speculate that he served in the English army. One record that does exist is dated September 8, 1687, and can be found in the Huguenot Library in London, England. It shows his name Anglicized to John (hereafter so called) and that his passage to Virginia was to be paid by an English citizen, Nicholas Hayward. Since no wife is mentioned, he was single at the time the document was written. A translation of the document is below. To severall ye intended for ye West Indies . . . To Lewis Reynaud of Angoumois, his wife and eight children for tools and others necessaries things to go to Virginia granted 8 pounds; and To Nichlos Hayward notary for ye passage to Virginia of Lewis Reynaud, Anne his wife, Francis, Lewis, Mary and Sara Reynaud their children, and Benjamin Reynaud, Mary his wife, Marianne and Mary their children, and John de la Chaumette granted 33 pounds. However, John did not leave England at that time. It appears he changed his mind and got married instead. He was later widowed, but the wife’s name is not known. There were no known children. What is known is that, on September 29, 1695, John, a widower, married a widow, Elizabeth Bouvet Bourgeois, in the French Church in London, but it wasn’t until 1708 that John and other wealthy French Huguenots set sail for the West Indies. They were there for several years, but after Elizabeth died in an epidemic, John left the West Indies and headed for Virginia. With him were his three youngest sons: John, Samuel, and Daniel. His oldest son, Antoine, stayed in Martinique (lower right-hand corner on map) at the homestead John had purchased. At some point, his name was further Anglicized to John de la Shumate. 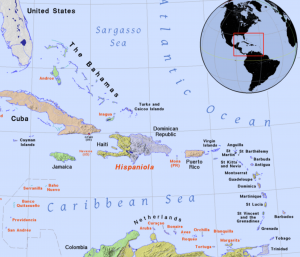 The largest influx of Huguenots to the Colonies, as noted previously, was in 1700. This was at a settlement known as Manakin Town in Isle of Wight County, Virginia. John arrived by 1722, presumably thinking he would join his brother Arnoul; however, he found that Arnoul had died 20 years before. Apparently, that was one factor in John’s decision not to stay in Isle of Wight County, but to head west, where land was more plentiful. He eventually bought 200 acres in Stafford County, where the deed is recorded. In 1724, John was included in the tobacco list of Overton Parish with his sons John, over 16, Samuel, 14, and Daniel, 12. He died about 1734 in what was then known as Prince William County, Virginia. He was murdered at a tavern by a highwayman. John de la Shumate is recognized as a Huguenot immigrant by the Huguenot Society of the Founders of Manakin in the Colony of Virginia. There are many spellings of this name: Brasseure, Brashear(s), Brasseur, Brashier, Brushier, and more, which makes it difficult to keep track of the descendants. However, the Brasseurs were French Protestants and left France to avoid persecution. 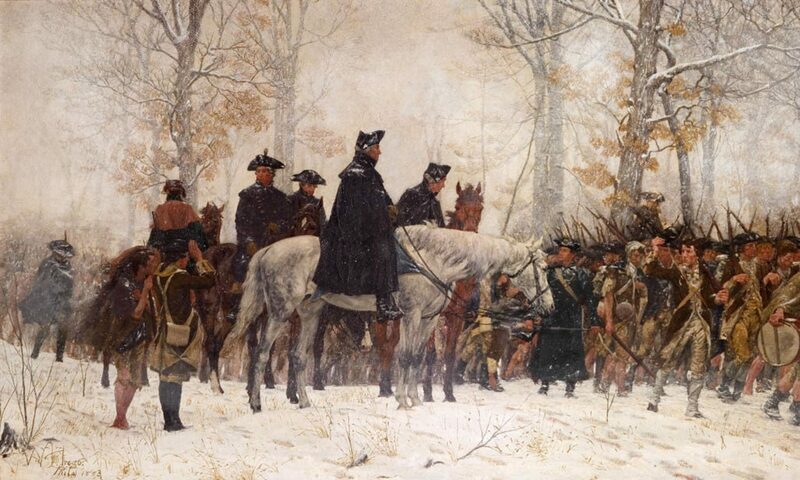 They went to the Netherlands or England before coming to the English Colonies and settling in Maryland and Virginia. My descent is from the immigrant Robert Brasseur, born about 1597, in Provence, France. His wife’s name was Florence, but her last name has been disputed. Robert fled France with his family to Kent County, England, around 1628, but, by 1635, had settled in Nansemond County, Virginia, where there were other French-speaking Huguenots. There, he patented 600 acres. The deed to that land, dated February 1638, is said to be the earliest land record of a Brashear in America. Robert’s property in Nansemond County went to his son John in 1667, so Robert had died by then. His oldest son, Benoit—or Benjamin—had relocated to Calvert County, Maryland, well before then, but died around 1662. Documentary evidence of his residence in Maryland includes probate records and his citizenship application. Both Robert and Benjamin are listed as Huguenot ancestors by the Huguenot Society of the Founders of Manakin of the Colony of Virginia, even though they arrived over 50 years before Manakin was founded. The Noell family, French-speaking and Protestant, lived in Sedan, France, near the border of Belgium, in the early 1500s. Pieter Noell (Anglicized spelling) and his wife, Jeanne Vintier, were born there. Seeking safety from those targeting Protestants, their son Jacob, born about 1599, left France and went to Leiden, in the Netherlands, where he married Treintje Cornelis on January 13, 1620. Treintje’s family had also come from France. Jacob and Treintje had a son named Cornelius, who was born October 1623 in Leiden. Cornelius is the immigrant ancestor. He married Elizabeth Page in the Netherlands and had at least six children. Exactly when they came to Virginia is not known, but there are land records in Essex County with his name on them in 1670, if not earlier. Cornelius died in Essex County, Virginia, in 1699. His will mentions his wife and children. Cornelius Noell has been verified by the Huguenot Society of the Founders of Manakin in the Colony of Virginia. Families, Vol. V, The King Printing Company,Bristol. Having traced my mother’s ancestral line back to John Basse’s wife, of the Nansemond Indian tribe, I was certainly curious as to whether this would show up in my DNA. When I got the report, there was no Native American DNA identified, but I know this happens often to people of Native American descent. The reason for this is that less and less of a specific ancestor’s DNA is passed on over time, so you may very well end up with none of it. 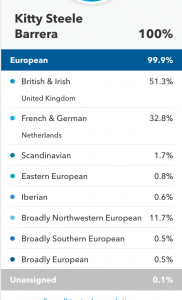 There is a very tiny “unassigned” portion of my DNA (0.1%) that cannot be identified. I guess that is the Nansemond Indian portion, but I don’t know for sure and probably never will. The Native American ancestry did show up in my brother’s DNA. 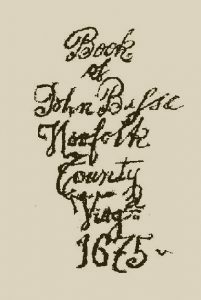 The English immigrant John Basse, born in 1616, was brought to the New World as a child by his father, Nathaniel. John later married a Nansemond Indian chief’s daughter, Elizabeth, and kept a record in his prayer book that proves family relationships and provides insight into their sincere Christian faith. 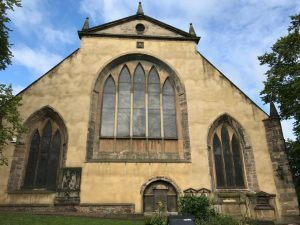 It’s a fascinating story that would make a great television show or movie and has been told quite well by Billy Pittard on his blog. I can’t tell it any better than he did, so do check it out. 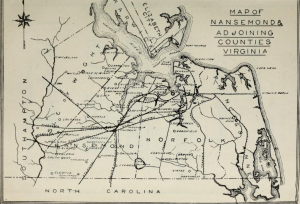 For a more indepth understanding of the Nansemond tribe and the Basse family, see this scholarly article that Lars Adams has written as part of his research on Nansemond history. He mentions a later John Basse, born 1674, so keep in mind that he’s not talking about the immigrant. My descent from the immigrant John Basse (b. 1616) is Richard Basse (b 1658), Thomas Bass (b 1719), Lucy Bass (b 1742), Joshua Nettles (b 1770), James Nettles (b 1796), Margaret E. Nettles (b 1831), Margaret Johnson (b 1871), and then my maternal grandfather. With every generation, it seems they moved farther west until they ended up in Texas. As you can see, I am many generations removed from the Native American ancestor. Even if I don’t have Native American DNA, I’m proud they are part of my family. As mentioned in my earlier post about the immigrant ancestry of President Thomas Jefferson, I am a descendant of his cousin, John Robertson Jefferson. The common immigrant ancestors of their fathers, brothers Field and Peter Jefferson, were discussed in that post. Mary Frances Robertson was born in Virginia in 1706. However, there is, even now, tremendous doubt about who her parents were. Despite the fact that Rev. Robertson was a minister in Bristol Parish for over 40 years, generations of genealogists have been befuddled about his wife and children. It is known that he had several sons, but it is not known if they all had the same mother. Traditionally, Rev. George Robertson has been listed as the father of Mary Frances, but no one can find the proof. 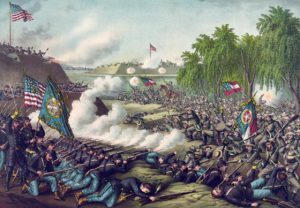 The following paragraphs relate to the history of Virginia, regardless of whether or not I can prove the connection between Mary Frances Robertson and Rev. George Robertson. Rev. George Robertson came from Scotland to Virginia as a missionary in 1692. He had also served as a ship’s chaplain with the Scottish navy. 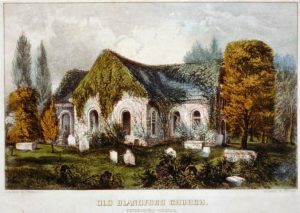 His ministry in Bristol Parish of Virginia (not in Bristol, Virginia) at Old Blandford Church is well-documented from 1693-1739. 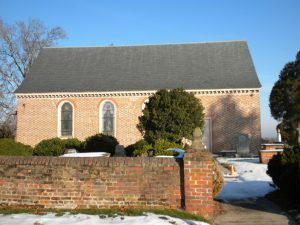 While he was still minister, a new church was erected in 1735, but it was abandoned in 1806, only to be restored later by the Ladies Memorial Association of Petersburg, Vi rginia, with memorial windows honoring Confederate soldiers. While I hold no sympathies with the Confederate cause, I do hope no one takes it upon themselves to destroy these memorials. There is quite a bit of information about these buildings to be found at the links provided. Numerous sources regarding Rev. Robertson’s ministry in Virginia are widely available and free on the Internet. Both his family and his ministry are discussed at length in this source, which includes the early history of the parish. However, I do believe there are some significant errors in regard to the family history. “William Robertson was born in 1624 in Kindeace Ross and Cromarty Scotland. He was the son of William II Robertson (1571-1629) and Anna Marie Mitchell Robertson (1575-1624). William married Eleanor Dreghorn Pitcairn (1634-1708) in 1652 in Aryshire, Scotland. Eleanor was the daughter of David Pitcairn (1610-1709) and Mary Ann Anderson Pitcairn (1613-). This family is of particular interest because my daughter-in-law is descended from George’s brother, Jeffrey, who also came to America. Though there is no information that Jeffrey himself was a pastor, he and his wife, Elizabeth Bowman, also lived in Henrico County, Virginia, and at least one of their great grandsons, Norvel Robertson, was a minister and a Revolutionary soldier. Rev. 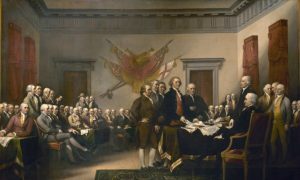 George Robertson died before the American Revolution began, but he most certainly would have been a patriot as his descendants John Robertson Jefferson and Norvel Robertson were. It will be a major task to untangle all the facts from the misinformation on the Robertson family. I will start with some of the sources listed below. If you also are a Robertson descendant, I invite you to participate and let me know what you find. President Thomas Jefferson was the namesake of his paternal grandfather and great-grandfather. In other words, they were also named Thomas Jefferson. I, too, am a direct descendant of these two men since my ancestor John Robertson Jefferson was the President’s first cousin. The President’s father was Peter Jefferson, and John’s father was Field Jefferson, Peter’s brother. I’ve always had two predominant feelings about being related to Thomas Jefferson. First, I’m proud of his brilliant leadership in the founding of our country. Second, I’m thrilled about being related to a President because someone else has already done most of the hard research! There was a lot of intermarriage in these early Virginia families. 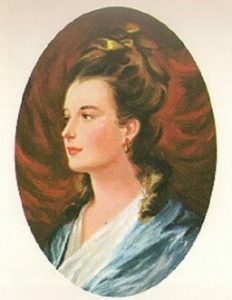 For example, the President’s wife, Martha Wayles, (pictured) is also descended from some of my ancestors, the Eppes and Isham families, about whom I will write at another time. 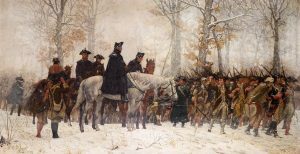 My ancestor, John Robertson Jefferson, was also a patriot and is listed with the Daughters of the American Revolution (DAR). His recognition came about because he was prosecuted in August 1777 for not paying his assessed levy to the local parish. His reason for not paying was that the minister, Rev. Christopher McRae, was a Loyalist. Many of John’s Cumberland County neighbors who wanted independence also refused to pay. All of the President’s immigrant ancestors mentioned below were also the forebears of John Robertson Jefferson. 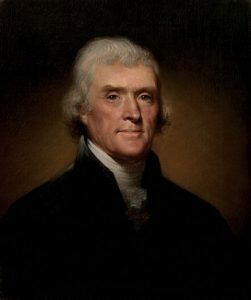 It is believed that the President’s great-grandfather Thomas Jefferson immigrated to Virginia via the West Indies, but he was originally from either England or Wales. There is some evidence for both origins, but it is generally accepted that this family is not connected to the Jefferson who was at Jamestown. Great-grandfather Thomas was living at Osbornes, Henrico County, Virginia, in 1677, when his first son, Thomas, was born. He had married Mary Branch, a native-born Virginian, and was a planter and surveyor. In 1682 he purchased 157 acres in Henrico County from William Byrd, and in 1692 he purchased a town lot. By 1697, he was living near the James River below present day Richmond. Genealogists have determined that the family had a respectable standing and comfortable estate but they were not part of the wealthiest class of plantation owners. An inventory of Thomas’s estate was entered into public record in 1698, and his heirs were son Thomas and daughter Martha. There was no mention of daughter Mary. 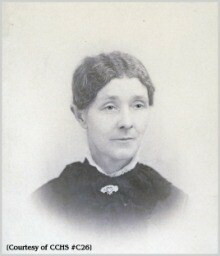 As previously stated, Mary Branch was born in Virginia; however, her grandfather, Christopher Branch, and grandmother, Mary Addie Branch, were immigrants from England. They had married in London in 1619 at the age of 17. Christopher was part of a prominent family descended from several signers of the Magna Carta. He and his wife and small son arrived on the ship London Merchant. By 1625, they were settled in Henrico County, Virginia, where they eventually had six sons. Unfortunately, Mary Addie Branch passed away in 1630. 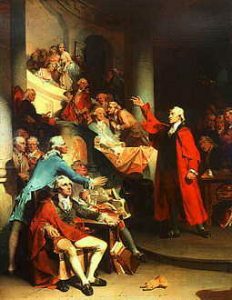 In 1639, Thomas served as a member of the Virginia House of Burgesses. His will is dated June 20, 1678, and was proved in February 1681/82. In the will he makes a bequest to his granddaughter, Mary Branch Jefferson. Several of his sons had preceded him in death. The paternal grandmother of both President Thomas Jefferson and John Robertson Jefferson was Mary Virginia Field Jefferson (left), wife of their grandfather, Capt. Thomas Jefferson. She was born in Virginia, but her mother and paternal grandfather were born in England. Her mother, Judith Soane, was born in Sussex County, England, in 1646, and immigrated to James City County, Virginia, in 1651. She was the widow of Henry Randolph when she married Peter Field in 1678, in Henrico County. At the time of her death, her name was Judith Soane Randolph Field. The paternal grandfather of Mary Virginia Field Jefferson–father-in-law of Judith Soane–was the English immigrant James Field. He arrived in 1624 on the ship Swan and settled in Elizabeth City, where he was listed with the militia. It is unknown if his wife, Ann Rogers Clark, was an immigrant. Both the President and his cousin John had other immigrant ancestors, but the ones listed above are the only ones they shared unless there is an as yet unknown connection. I’ve always wondered how close John (b. 1742) was to his cousin Thomas (b. 1743) since they were almost the same age. I have a feeling that is one question that will never be answered. Coldham, Peter Wilson. The Complete Book of Emigrants. Genealogical Publishing Company, 1997. College Quarterly, Vol. III, Heale-Muscoe. Hoff, Henry. English Origins of American Colonists. County, Virginia. Privately published, 1942. The National Society Magna Charta Dames and Barons. Immigrants. Genealogical Publishing Company, 2002. Deeds, 1706-1737. Privately published, 1985-6. Richmond, Virginia. Wimberly, Vera Meek. The Branch Family.